Escape to beautiful Bryce Resort in the mountains of western Virginia! Just a 2-hour drive from the Washington, DC, metro area, Bryce Resort is the Shenandoah Valley’s hidden gem, a gorgeous little valley within a valley. City folks have been coming here for decades to ski, golf, hike, swim, and boat—and, most of all, relax. Winter, spring, summer, fall—Bryce Resort has plenty of fun activities for every season and for every interest. Couples come for romantic getaways, and families come to play together. The historic central Shenandoah Valley is a destination in itself, with much to see and do just minutes from Bryce. Leave your cares in the city. Unwind. Bryce Resort is a four season resort located in the western mountains of Virginia. Situated just about two hours from metro Washington, D.C., in Shenandoah Valley’s Basye, Virginia. 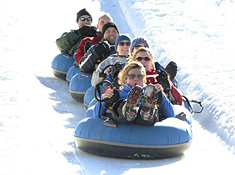 Bryce Resort offers hiking, biking, golf, swimming, boating and yes, skiing and snow tubing! Membership has its privileges… but they’re open to the Public! Bryce Resort is one of the few member-owned resorts in Virginia, organized for the recreational and social pleasures of its members. It is a non-stock corporation directed by a seven-member board of directors. All golf, snow sports, and Lake Laura activities and facilities are open to the public, but members enjoy additional benefits and amenities. About one-third of property owners live at Bryce full time—Bryce Resort’s proximity to the Washington, DC, area makes it a perfect retirement location for those who want to remain close to children and grandchildren and to the cultural amenities in the DC area. Spread over 400 acres in Basye, Virginia, on the eastern side of Great North Mountain, Bryce Resort—in addition to its signature golf and snow sports facilities—offers a wide range of other outdoor activities. 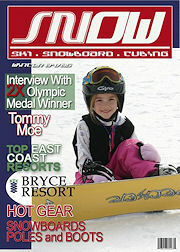 Bryce Resort is a popular, family-oriented resort that offers a perfect place for kids of all ages to learn how to ski and/or snowboard…and yet they offer two-thirds of their terrain to intermediate and advanced skiers and riders. Bryce opened the 800′ Ridge Runners Snow Tubing Park in 2004, and in 2005 they added a magic carpet lift to make things even easier for you to get back to the top. Bryce Resort made significant upgrades to the snow making equipment in 2006 to allow more efficient production and flexibility. They invested more than half a million dollars about 18 months ago for upgrades in the snowmaking infrastructure. Improvements such as automating the snowmaking efforts on their entire beginner area, adding 10 more snow guns to their arsenal and more. During that upgrade they also purchased a new snowmaking pump that gives them more power to make more snow—faster! Bryce Resort offers a fully stocked Ski Boutique, a certified ski repair shop, and a rental shop for ski and snowboard equipment. 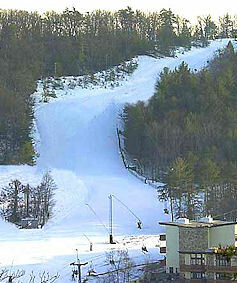 The Ridge Runner’s Snow Tubing Park continues to be a widely popular place where everyone can safely slide in the snow. Our carpet lift carries you quickly back to the top of the start hill. It’s great fun for all ages! Bryce Resort offers a nice restaurant and lounge in the newly renovated lodge, as well as a cafeteria, ski boutiques, ski and snowboard rental and repair. There are ski chalets located on and around the resort and there are several stay-and-ski packages. Condos, townhouses, luxury homes and vacation rentals are available in the area…many with mountain and/or lake views.